We are delighted to present you the annual report of Non-coding RNA Investigation (NCRI) 2018. By the end of this year, there are 37 experts from 19 countries sitting on board. 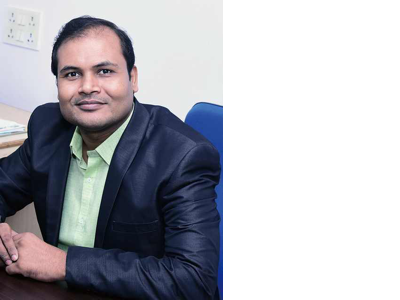 71 articles have been published in 2018, including a featured column “Meet the Professor”. Currently, one focused issue is in progress and planned to be published in 2019 . For more information, please find the detailed annual report as below. We are grateful to all the Editorial Board Members, Authors, Reviewers and Readers who have contributed to and supported NCRI in 2018. In the new year, we warmly welcome more excellent investigators to join us to make NCRI an innovative and informative platform for non-coding RNA research. Circular RNAs (circRNAs) are a form of RNA that has been found to regulate mammalian transcription. 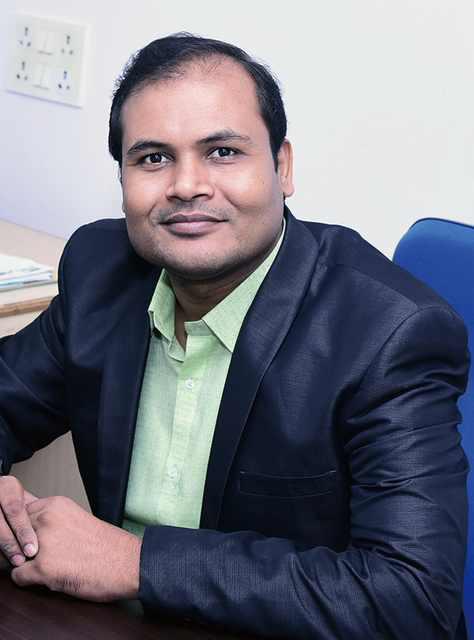 This recently discovered RNA is a large class of ubiquitously expressed novel noncoding RNAs (ncRNAs) reported to regulate gene expression by modulating the function of micro RNAs (miRNAs) and RNA-binding proteins (RBPs). CircRNAs are believed to be able to serve as molecular markers of complex diseases. However, the understanding of their role in the development of diabetes is still limited. Schematic representation of the biogenesis and function of miRNA (A), lncRNA (B) and circRNA (C). Target RNA-directed microRNA degradation; which controls which? TDMD in general models and in miR-30/serpine1 RNA duplex. miRNAs control target gene expression by inhibiting translation and target RNA degradation. Endogenous or viral transcripts also control miRNAs by degradation through TDMD. miRNAs are stable in RISC if the pairing with target RNA is partial (A) although extensive pairing with target RNA induces 3’ trimming, tailing and degradation of miRNA (B). Summary scheme showing microRNAs regulating cardiac hypertrophy through autophagy. Cartoon representation of the mechanism of crosstalk signaling between adipose tissue and skeletal muscle mediated by miR-27a and its influence on promoting insulin resistance. In the high fat obese state increased adipocyte secretion of miR27a containing exosomes causing increased serum miR-27a levels. 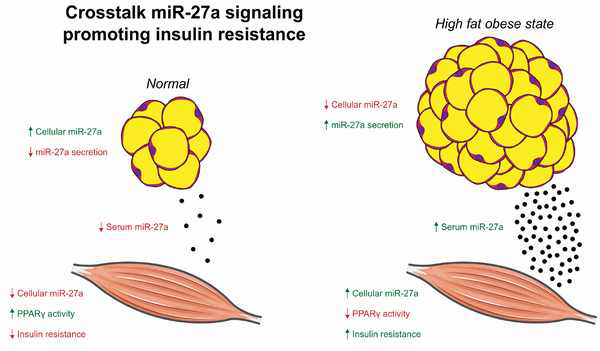 Skeletal muscle uptake of adipocyte derived miR-27a exosomes resulting in negative regulation of PPARγ by miR-27a causes increased insulin resistance. Role of miR-100 and miR-125b in EMT and drug resistance. Targets and functions of miR-199a-3p. “T” symbols indicate inhibitory effects, and “→” arrows indicate stimulating effects. 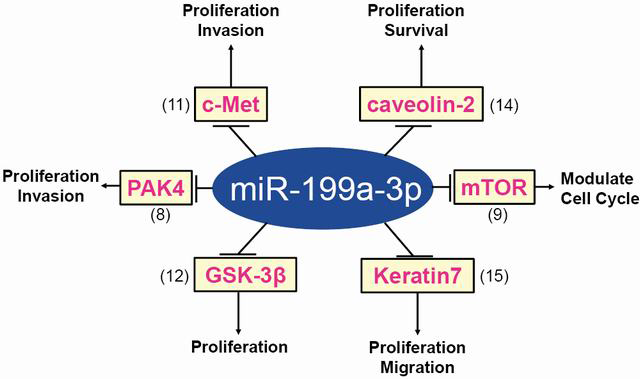 miR-199a-3p targets include PAK4 (8), mTOR (9), c-Met (9,11), GSK-3β (12), caveolin-2 (14), and keratin 7 (15). Non-coding RNA Investigation is an international, open access, peer-reviewed scientific journal for presenting and discussing frontiers in non-coding RNA, covering all basic, clinical and translational research involved non-coding RNAs and their regulatory roles in health and disease.